Buyer Information: Buyers please note that when ordering canvas gallery wraps, a little more than 1.5 inches will be cropped off all around each image in the wrapping process. When you arrive at the checkout screen, it is very easy to click the review crop button on each item you are purchasing to make sure it looks just as you want it to look before finalizing your transaction. Please make sure that you order exactly what you want to see on your wall. All sales are final. No returns or exchanges of merchandise will be accepted except in the case of prints that arrive damaged. If this happens, please contact the printing company you ordered through, Bayphoto,directly and they will reprint and send the new image out to you. 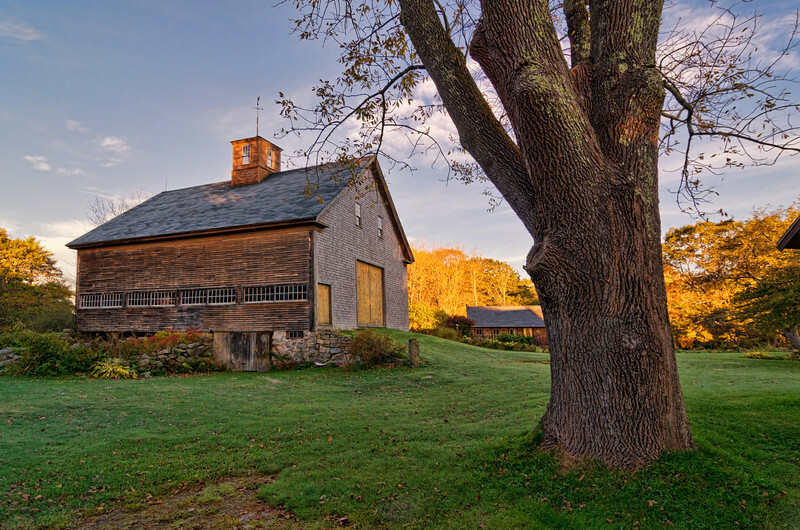 A beautiful old barn on the River Road in York, Maine.